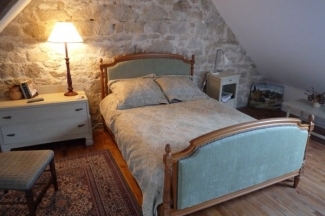 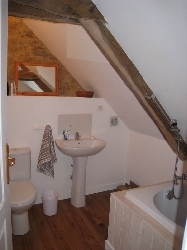 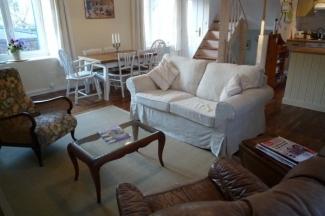 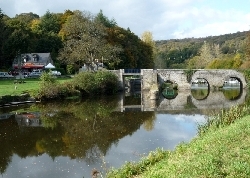 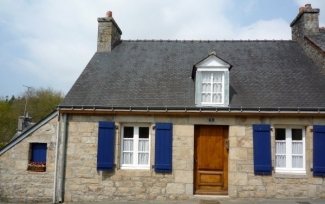 Petit Guemene cottage is located in the enchanting and ancient market town of Guemene sur Scorff,and is located close to 6 golf courses about 40 minutes away: it's a 10 minute drive to cycle along the Nantes-Brest canal tow paths and 4 bikes are provided. 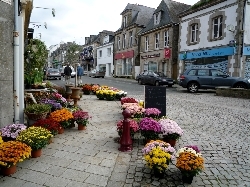 Guemene has every facility: patesseries, boulangeries, a great supermarket, restaurants and banks all a 10 minute stroll from the house: also a weekly farmers market and a fresh seafood truck that comes to town twice a week. 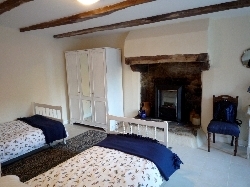 This romantic 3-level cottage was sympathetically renovated to a very high standard in 2008: it sleeps 6, with 2 double bedrooms and 2 landing single beds. 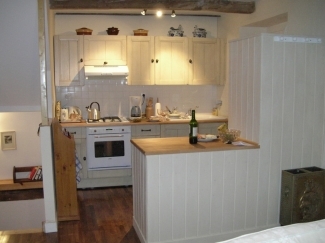 The original beam ceilings and chestnut floors have been retained, while adding a thoroughly modern kitchen and 2 new bathrooms. 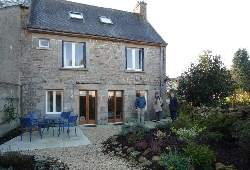 The house has central heating and is internet and phone connected. 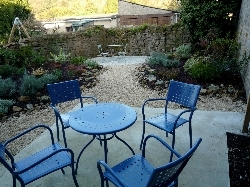 The house opens to its own private walled garden with 2 patios: furniture and BBQ is provided.